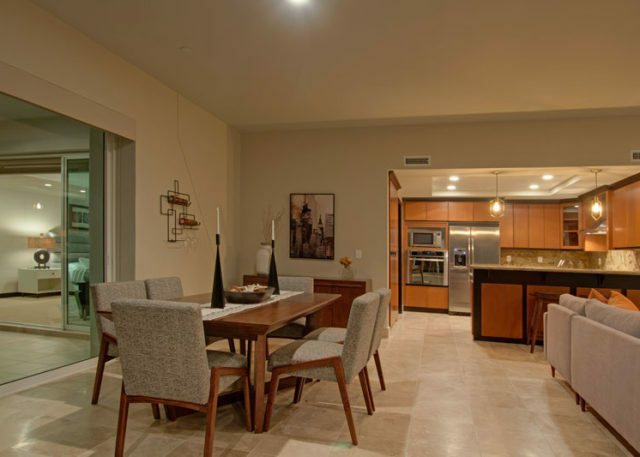 Open floor plan with views from both dining and living areas. 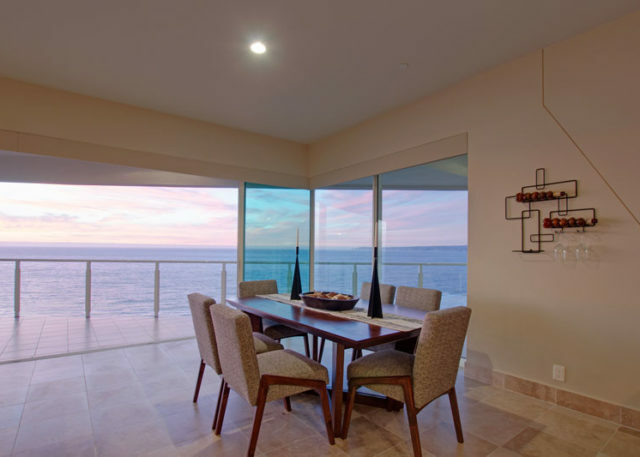 Large dining area with views to the Ocean. Spacious living room and high ceilings. 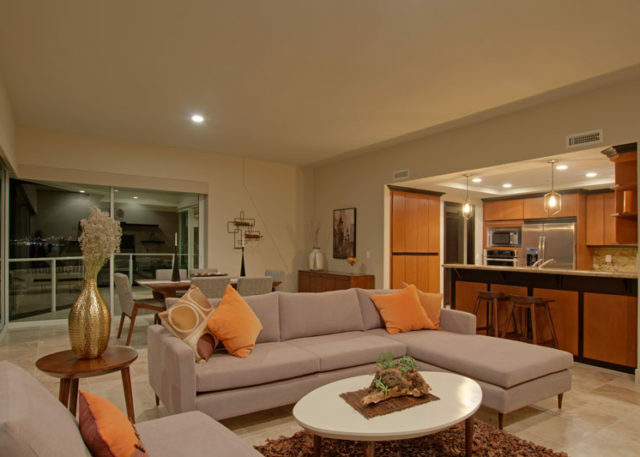 Open floor plan, great for entertaining. 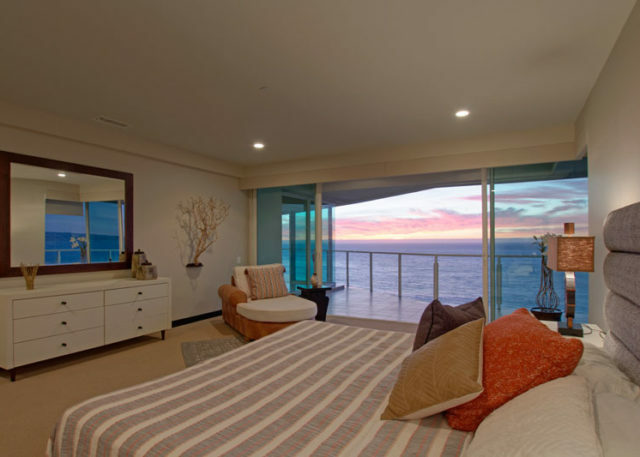 Amazing Master Bedroom with views! 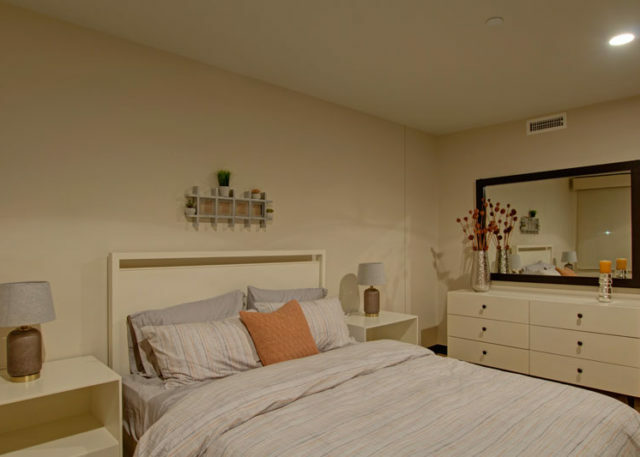 There is enough space in the Master for a Cali King bed, a desk, and sitting-lounging area! High ceilings in the master. 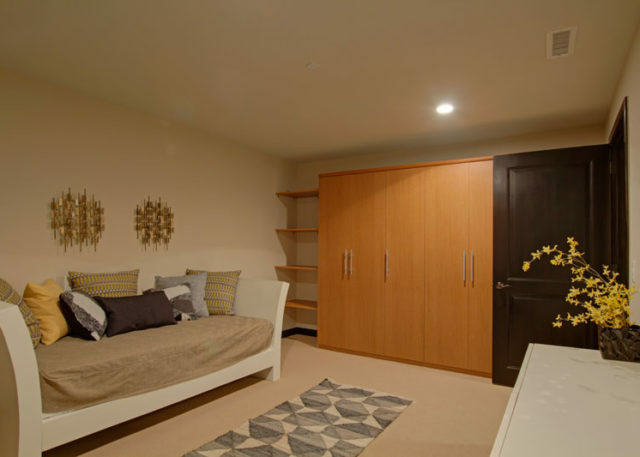 This is the Master closet, it's almost as big as an extra bedroom! Double marble vanity in Master. Second Bedroom has views to the mountains. 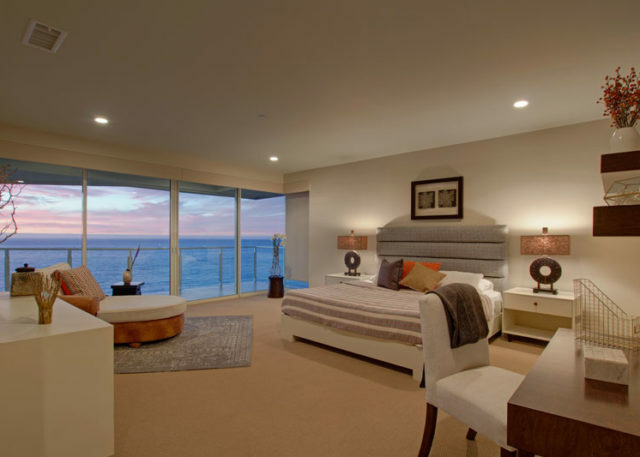 This bedroom is also large enough for a California King size bed. Second bedroom also has walk-in closet and it's own full bathroom. Full bathroom in the second bedroom. 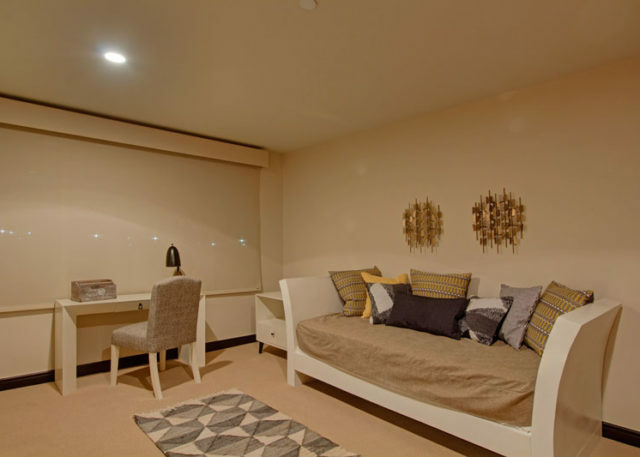 Third bedroom with day bed and desk. 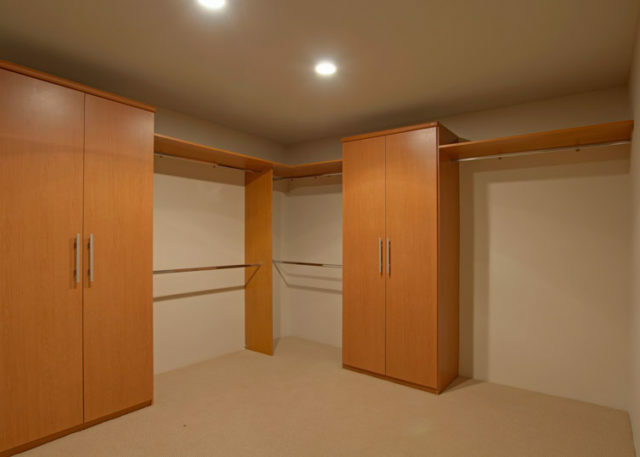 Built-in closets included to maximize storage space. 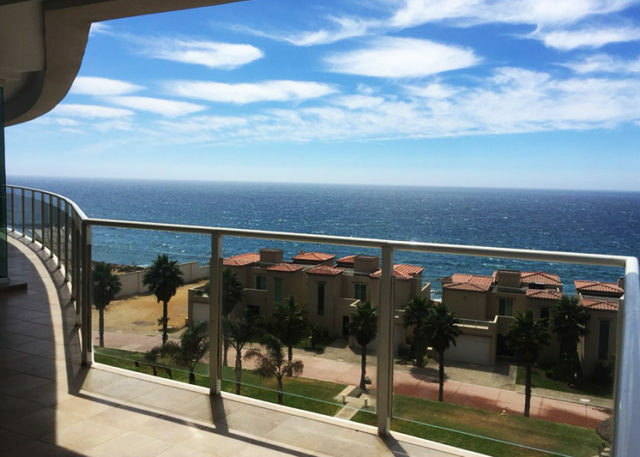 Palacio del Mar – Offered furnished or unfurnished! 2,833 square feet, 3 bedroom, 3 bathroom. This unit has recently been finished, brand new appliances! 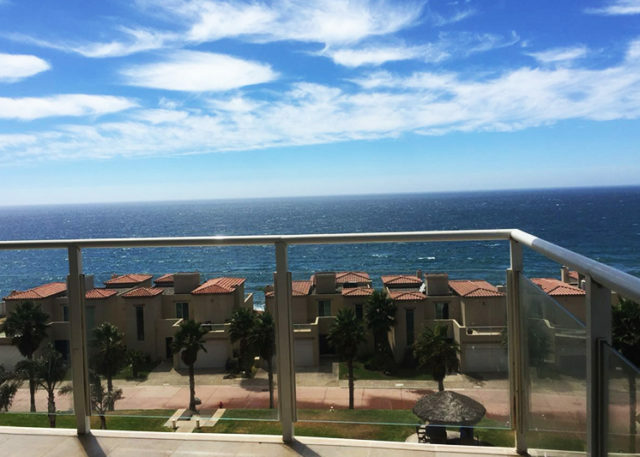 This condo has an amazing view of the ocean. 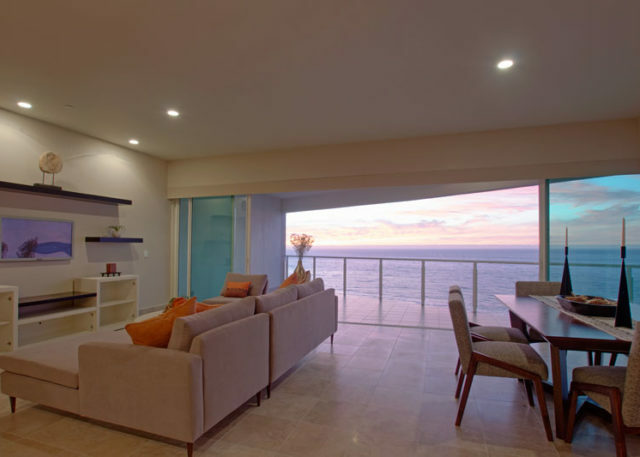 The community of Palacio del Mar is an oceanfront community with direct access to the surf. 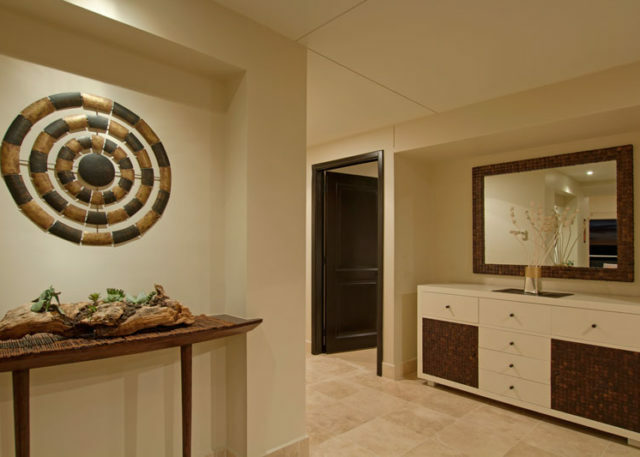 Inside this luxury condo are exceptional details all designed with a purpose and finished with excellence. 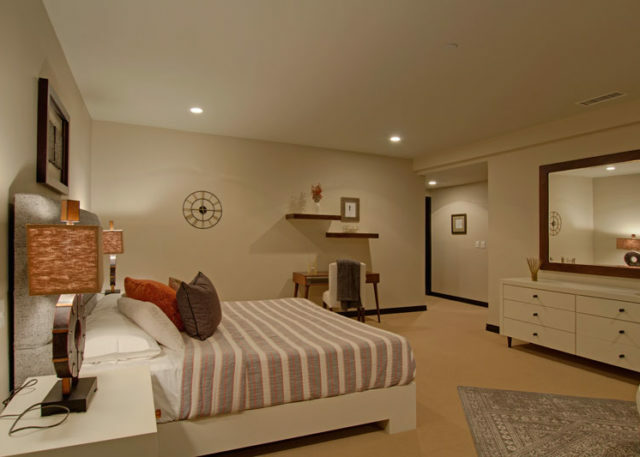 Throughout the condo is travertine flooring with Berber carpets in the bedrooms. 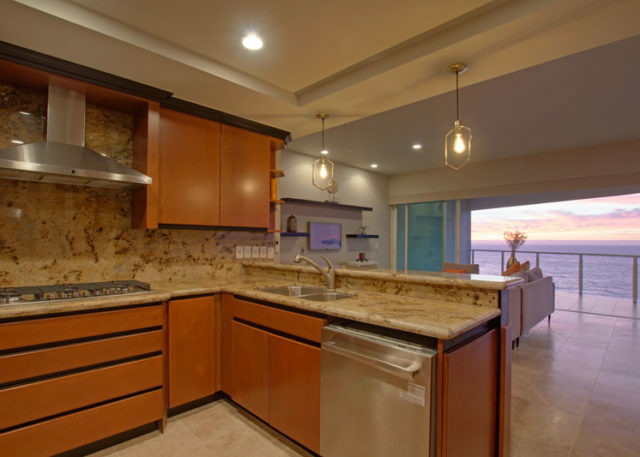 There are coffered ceilings, niches, ceiling to floor travertine in the showers, and a full wall of glass on the ocean side. The patio is full wrap around patio that starts in front of the living room and wraps around to the master bedroom. 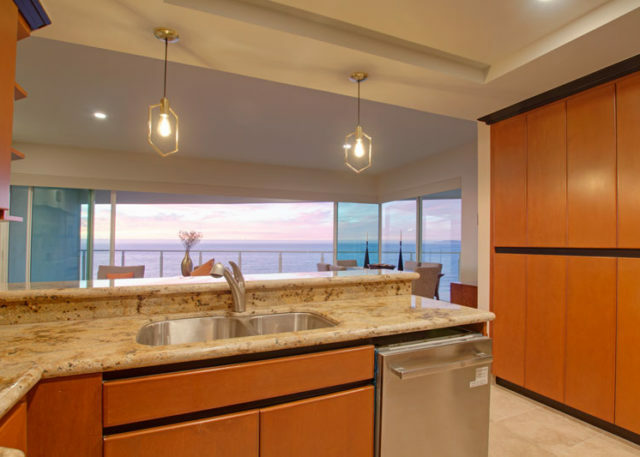 The living and dining area is a gem of oceanfront space. 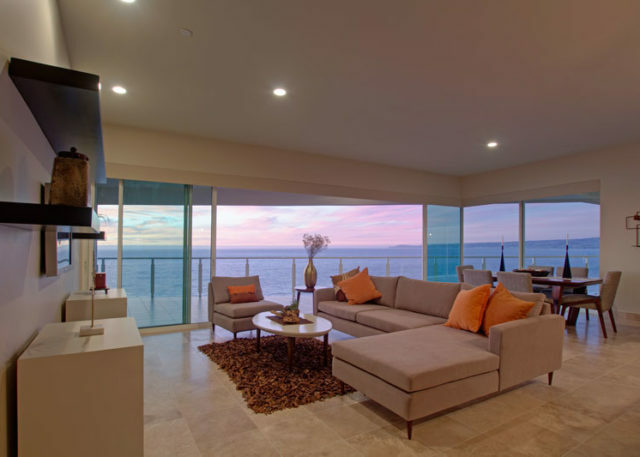 The glass patio sliders have a total of 7 large pieces of glass in which 4 of them open completely to easily bring the outdoors inside without ever having to leave your living area. 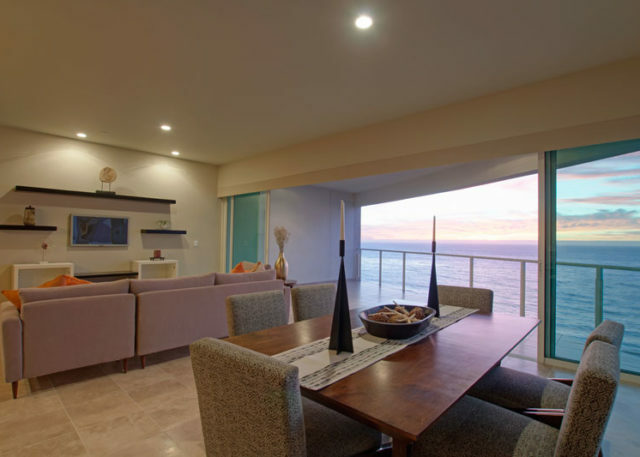 The living and dining area have excellent ocean and white water views. The spaces are wired for satellite television and internet. 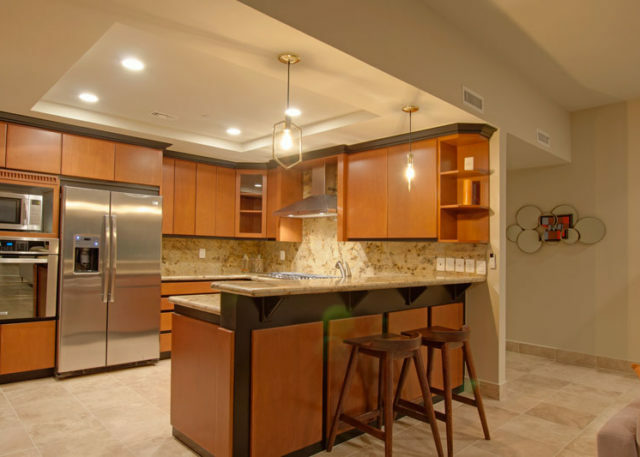 The kitchen is modern and is delivered with stainless steel appliances. 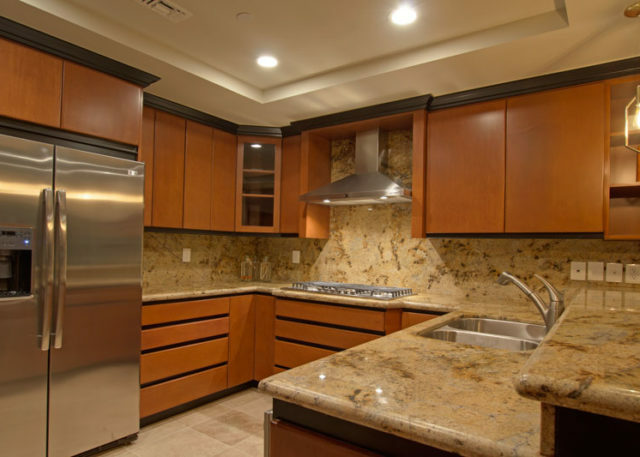 All the appliances are built-in, stainless steel, surrounded by a granite counter top and full backsplash. 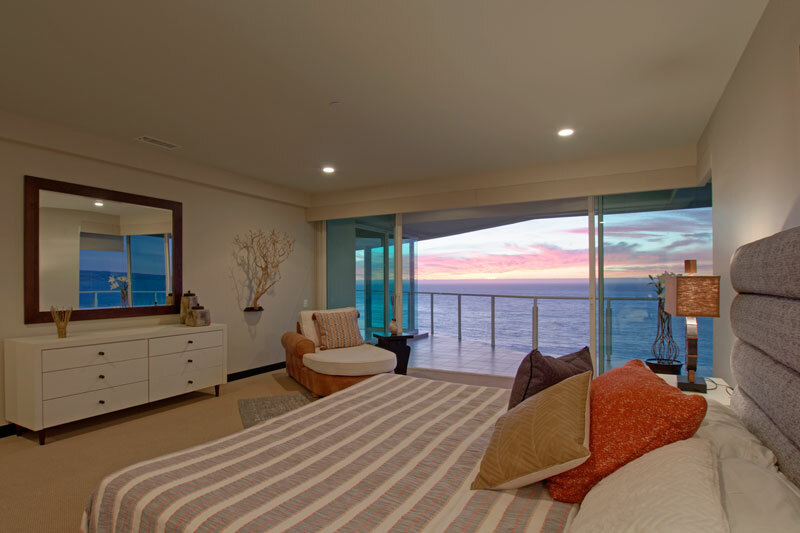 The master bedroom is a showpiece. 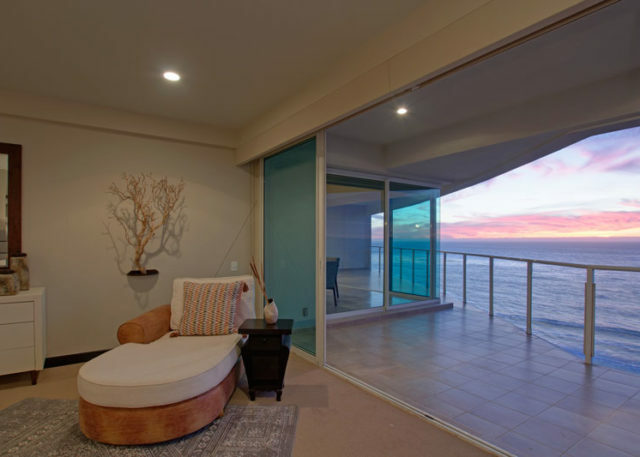 It is extremely large and has a large wall of glass and patio sliders bringing in the white water ocean views. 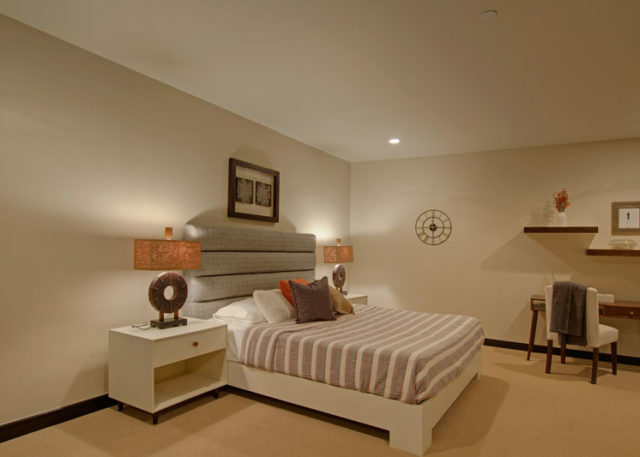 The master bedroom has a large patio just outside, and a very large walk-in closet with built-in closet cabinetry installed. 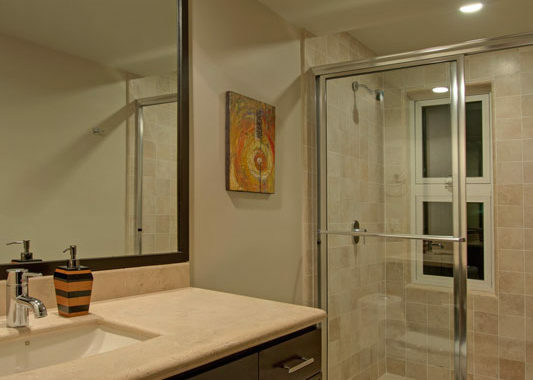 The master bathroom is large with double sink, marble countertop, oversized shower with a seat of travertine and designer hardware. The hall connecting all the bedrooms is a nice walking space with a nice niche and space for art. 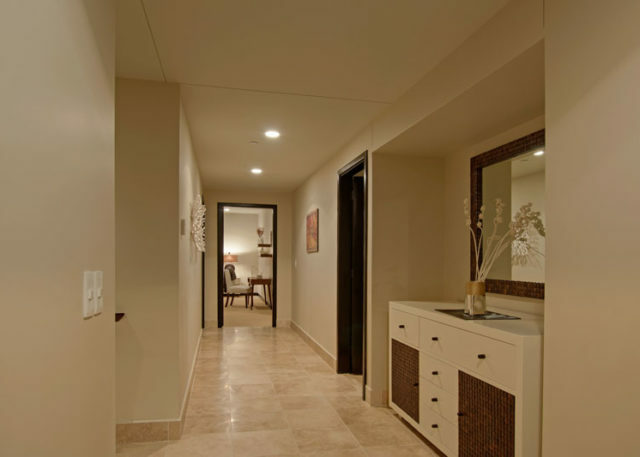 The second bedroom has a walk through closet fully equipped with cabinets, and a nice large window for a ranch and mesa view to the east, and private bathroom finished nicely with travertine, marble, big mirror finished with a wood frame, and just the right amount of floor space. 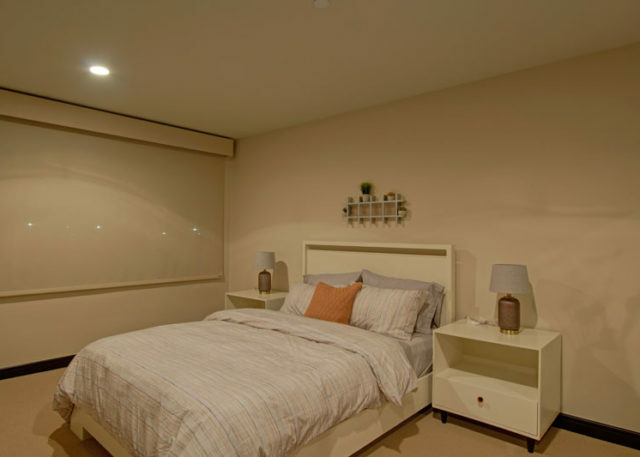 The 3rd bedroom also has a large window for ranch and mesa views, as well as a built-in closes system, and a nicely finished bathroom just outside the door. 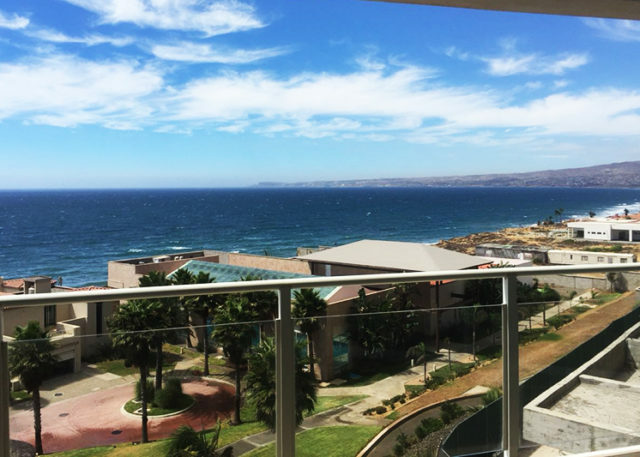 Palacio del Mar offers full title. You can own in your name forever. You can get a bank trust, fideimcomiso in Spanish, or an escritura, deed, depending on if you are Mexican or non-Mexican. 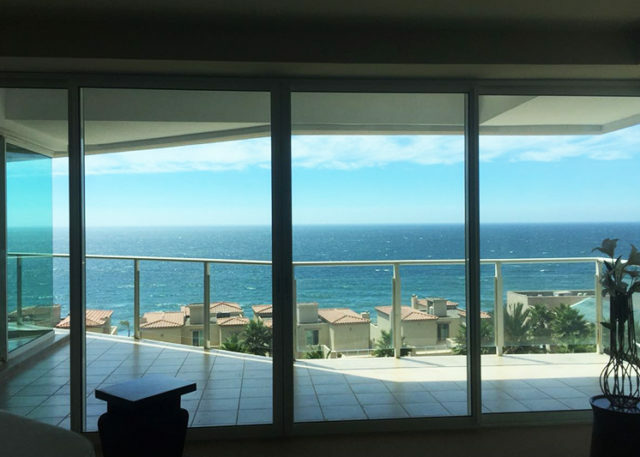 You can will it to your children, use it as a tax write off, depreciate it, and enjoy capital gains exemptions on the Mexican side when you resell with simple planning. 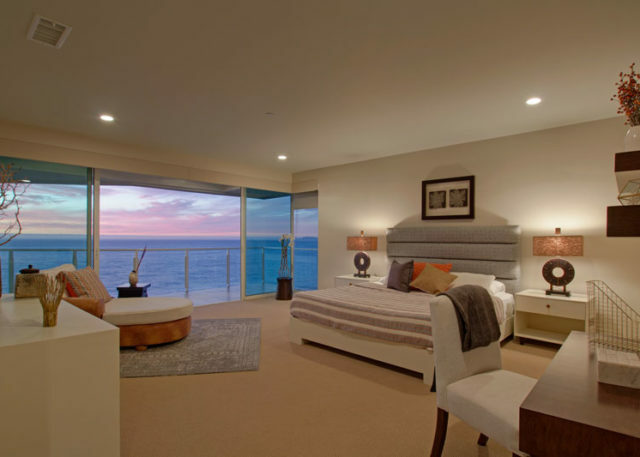 The amenities are the highest quality and the largest on the coast. The indoor swimming pool in the tall glass atrium is a showpiece and is one of the best-covered spaces on the coast. The pool is semi Olympic sized, heated to 80~ and has a full granite bottom and granite flooring surrounding the pool. There is also an outdoor infinity pool, long and running along the ocean, for a spectacular contrast between pool and ocean. Just behind the oceanfront pool is the large oceanfront gym on the coast. 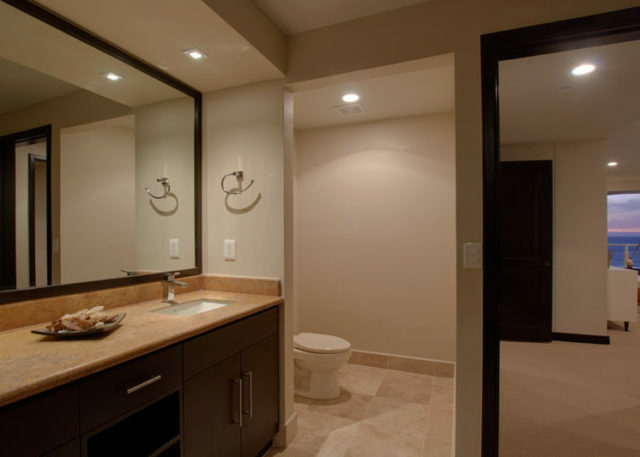 There is also his and hers sauna, steam room, locker room, and pool showers all finished in granite. Also, there is a Jacuzzi and children pool, 30-seat big screen theater with surround sound, help desk, saloon, reading room, and much more. 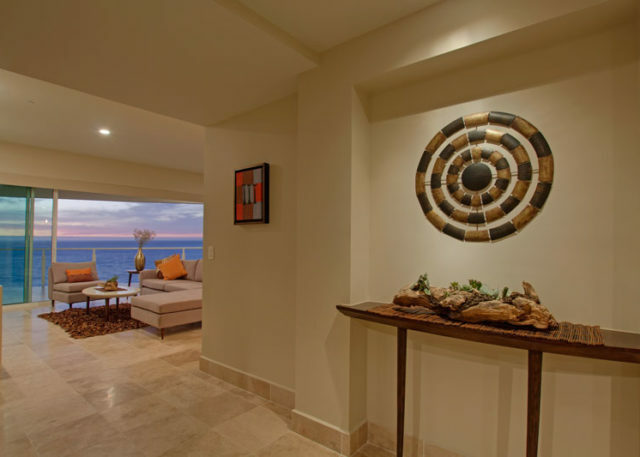 Please schedule and appointment to view Palacio del Mar and this exceptional model residence. 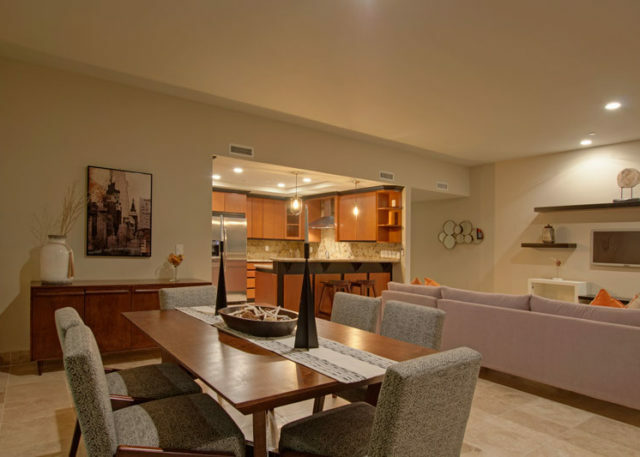 Previous ListingCondo 1602 – 2 bedroom, 2 bath / 16th floor middle unit.